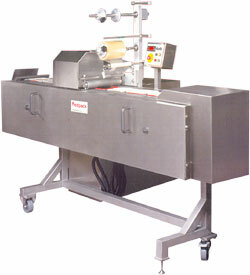 L sealers, vacuum packers, flow wrappers, sandwich pack sealers - a range for machines for all types of packaging. 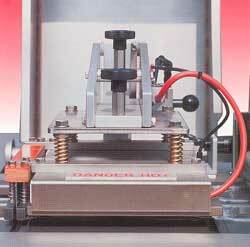 L sealers for those 'small' packaging jobs, ideal for bakery, confectionery and general packaging. Vacuum Packers for sealing high risk products. Bench and floor standing machines in a wide of sizes, with or without gas flush. Flow wrappers for high speed packaging, wth or without printing/bar coding facilities. Sandwich Pack sealers for 'wedge' sandwich packs. Fast interchangeable units, minimum down time, flexibility. Would you like to receive further information about this product? Simply complete the form below and we'll send you some further information. Do you know someone who you think would like to know about this product? Site designed and maintained by Web Design.